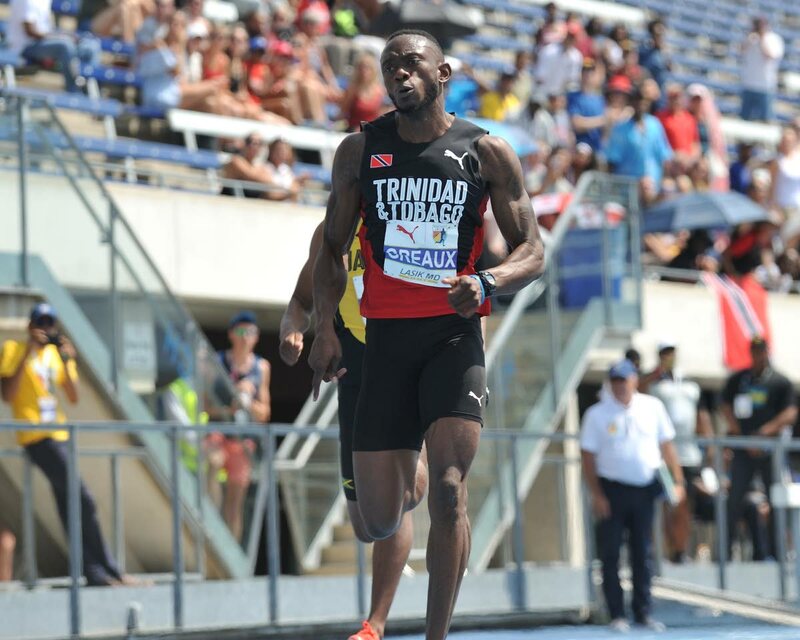 PRESIDENT OF the National Association of Athletic Administrations (NAAA) Ephraim Serrette is impressed with the gold medal performance of sprinter Kyle Greaux, at the recently-concluded North America, Central America and Caribbean (NACAC) Championships in Toronto, Canada. On Sunday, Greaux won the men’s 200-metre final in a meet-record time of 20.11 seconds. This was Greaux’s first gold in a major meet, and it came less than a month after his bronze medal run of 20.26 seconds, in the Central American and Caribbean (CAC) Games, at Barranquilla, Colombia. “I was very happy for him,” said Serrette yesterday. “I had challenged him. He got a bronze in CAC. I think he’s coming to his own.” Serrette is hopeful that the 30-year-old Greaux can use this achievement as a stepping stone for greater things, ahead of the 2020 Olympic Games in Tokyo, Japan. TT returned home from the NACAC Championships with three medals – Greaux’s 200m gold, silver for veteran Cleopatra Borel in the women’s shot put and bronze for the men’s 4x100m relay team (twins Nathan and Jonathan Farinha, Jalen Purcell and Greaux). On the flip side, Serrette admitted that the NAAA are unable to offer any rewards to the athletes, especially at a financial level, due to their current economic woes. Reply to "NAAA boss impressed by Greaux’s gold"